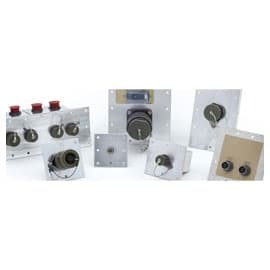 Transtector Systems specializes in protection of highly sensitive, low voltage equipment through its patented, non-degrading silicon diode technology and custom filters. Our power quality expertise translates into a diverse product offering including AC, DC, and signal applications as well as integrated cabinets, power distribution panels and EMP hardened devices. Contact an Account Manager for a quote today! Gap Wireless is a leading provider of products and services for the mobile broadband and wireless markets. The company works with industry-recognized vendors to stock and distribute thousands of wireless infrastructure and Test & Measurement products, and offers a suite of hardware and value-added services for the UAV (Drone) market. Serving carriers and contractors throughout North America, Gap Wireless also provides value-added technical/engineering services.